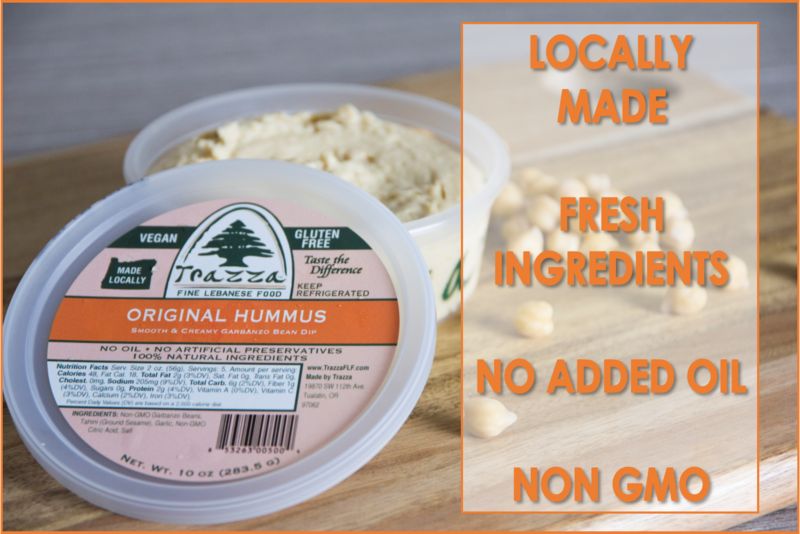 Trazza offers more than a dozen flavors of hummus, but it all started with our classic Original Hummus. True authentic Lebanese flavor and textured made from only fresh, non GMO ingredients with nothing artificial added, no oil, and no preservatives. We’re passionate about making delicious food you can feel good about eating! It’s grilling season! Grilled fish, grilled chicken, grilled veggies, grilled steak… Is your mouth watering yet? 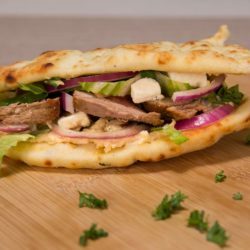 How about a grilled steak sandwich with Trazza original hummus, red onions and feta cheese wrapped up in warm flat bread? Trust us, it’s delicious! Looking for a fresh appetizer idea? 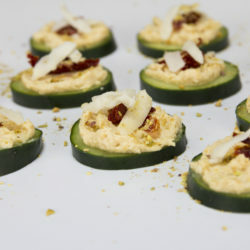 These tasty cucumber bites are a healthy alternative to the traditional canape! Full of flavor, our cucumber bites are easy to make and are delicious with your favorite flavor of Trazza Hummus or Baba Ghanooj. We’ve made ours with Trazza’s Oven Roasted Garlic & Chive Hummus.